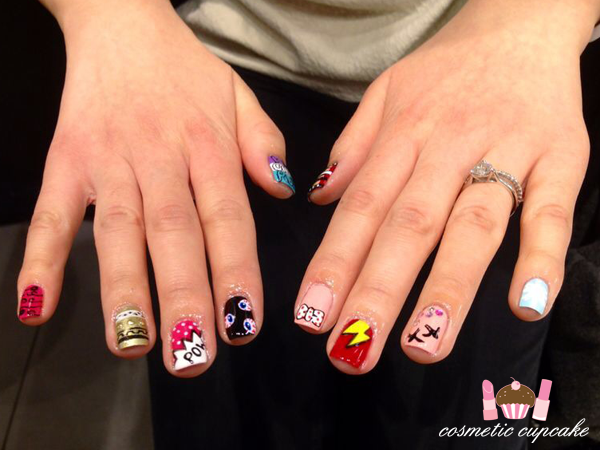 Cosmetic Cupcake: WAH Nails Topshop and meet up with Aysh! 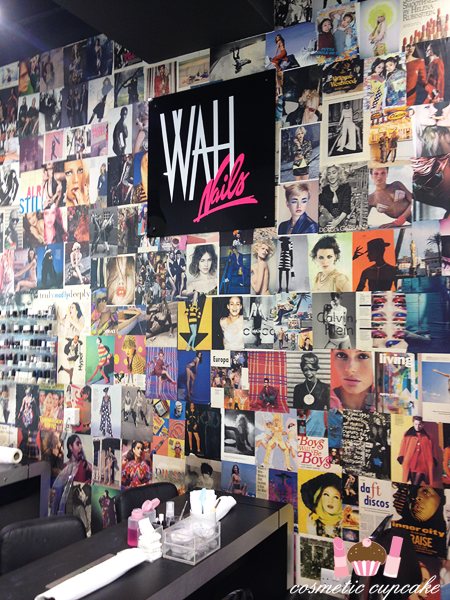 When the hubby and I decided we were going to London for our honeymoon I knew I wanted to schedule some time to get my nails done at WAH Nails. I also couldn't go to London without meeting my gorgeous friend Aysh from Truly Madly Beauty who I've been chatting to and swapping polish with over the last few years. The hubby very generously agreed to occupy himself in London for an afternoon so I could have some girlie nail, shopping and high tea time with her!! I FINALLY got to meet this beautiful girl OMG!! ♥ I always say it but one of the best things about blogging has been the people I've met and this gorgeous girl is one of them. Why do you have to live so far away though???! 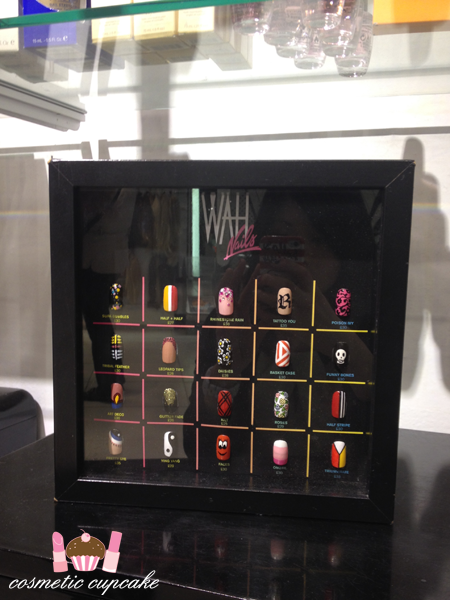 Aysh kindly booked us in to the WAH Nails Topshop salon way in advance for us to get our nails done. 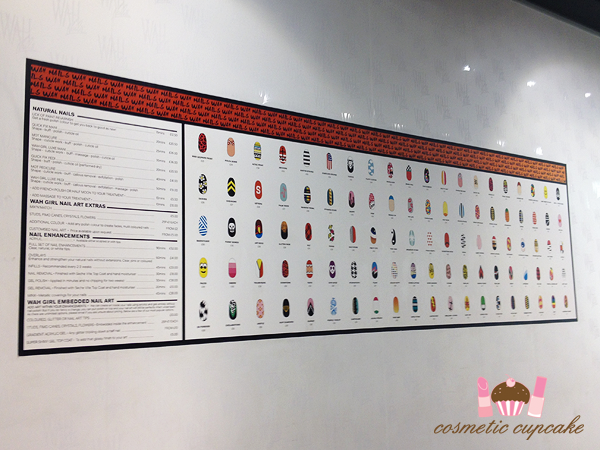 Their nail art menu is extensive and it's seriously hard to decide what designs to get. I went all out and went with 10 different designs because who knows when I'll be back in London. I hope that I'll be back soon but I couldn't take any chances! 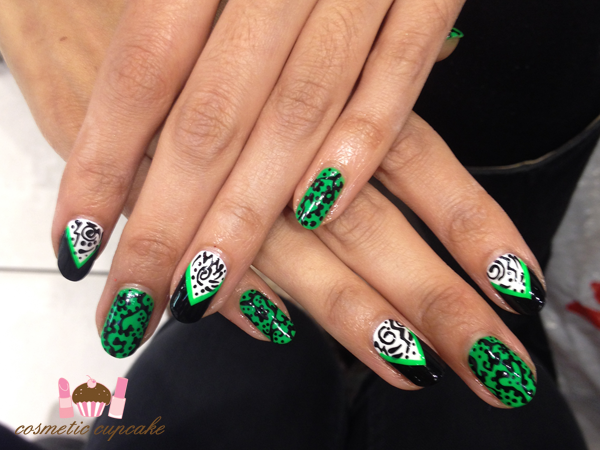 Aysh's amazing poison ivy mani! The green is from Color Club and it's so bright and fun. I can't remember the name of it now but I want it! HOW COOL WAS MY MANI???????? I could not stop staring at my nails and I didn't want to change my polish except I needed a toned done mani for our trip on the Orient Express so I had to remove it =( It lasted a good 4-5 days though! 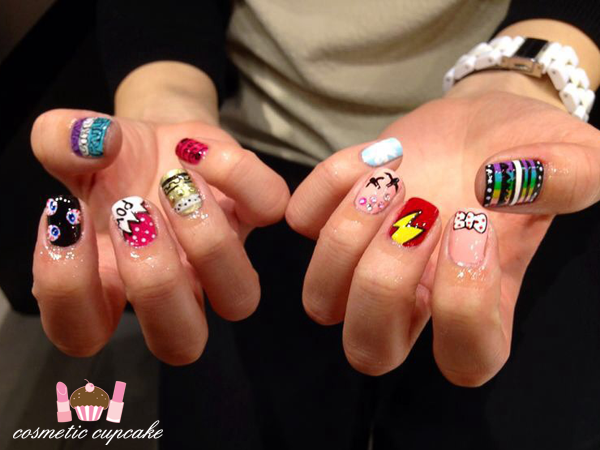 The designs I got from left to right: bubble letters, flying eyes, POW!, studded Egyptian, poison ivy, breakfast at WAH, swallows and studs, lightning bolt, polka bows and rainbow tribal. PHEW! Showing off our new manis! I think it's a good thing I don't live in London actually because I'd probably be at Topshop every week instead of doing my nails myself. And I'd make Aysh come with me too haha!! 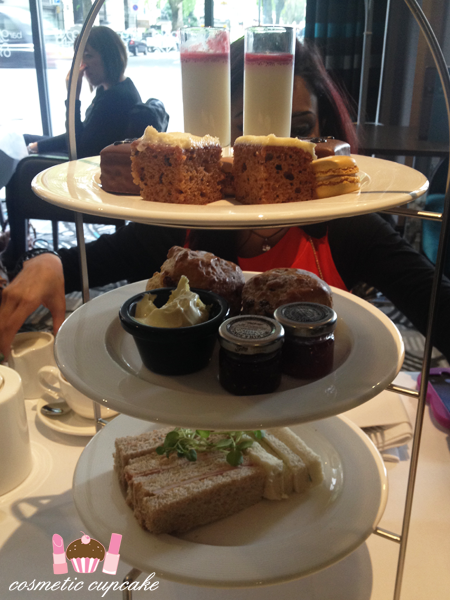 We finished off the afternoon with a delicious high tea and a spot of shopping too! The afternoon just flew by and it went by waaaaaay too quickly! I can't believe it's been 2 months already. I'm finally sorting through all my photos from my honeymoon and I'll be sharing some soon! I took hundreds of photos and going through them all is so time consuming lol. Thanks for looking as always! ahhh meet ups are always fun! your nails are looking awesome!! !